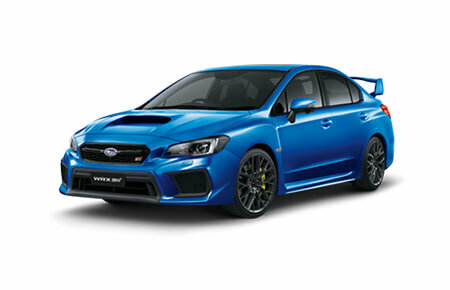 Trace Subaru's history of vehicle developmentback to the 1950s. 1953: Subaru Corporation (formerly known as Fuji Heavy Industries Ltd.) was established. 1954: The first prototype 4-wheel passenger vehicle P-1, later known as the Subaru 1500, was completed. 1957: Prototype K-10 was completed. 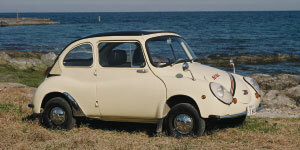 1958: Subaru 360 was released. This passenger car became a milestone in our automobile history and enjoyed tremendous popularity for more than a decade. 1961: The Subaru Sambar truck was released. 1966: 2nd generation of the Subaru Sambar was released. 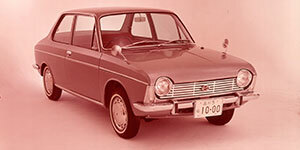 1966: Subaru 1000 was released as the first compact passenger car powered by the Boxer Engine. 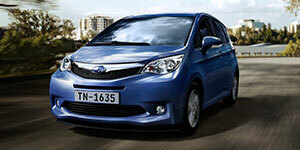 It also offered driving stability, a comfortable interior and the front-wheel drive platform. 1969: Subaru R-2 was released, replacing the Subaru 360 and offering a refined style and roomy interiors that could comfortably seat four people. 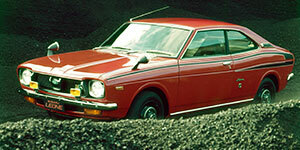 1971: Subaru Leone was released. 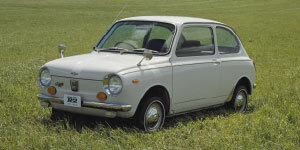 1972: Subaru Leone, the first Four Wheel Drive commercial vehicle was released. 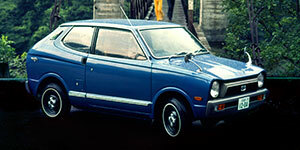 1972: The Subaru Rex was launched as the succesor to the Subaru R-2. It was a hit thanks to its youthful dynamic image and traditional minicar features, including superior handling, driving stability, riding comfort, and fuel economy. 1973: The 3rd generation Sambar was released, with a switch from an air-cooled engine to a water-cooled one. 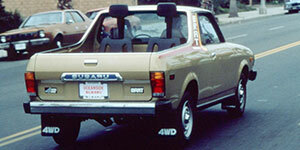 1977: The Subaru Brat was released, based on the Leone 4WD but with a two-seater cabin and a cargo bed at the rear. 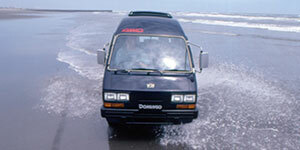 1979: The 2nd generation Leone was released with a larger body size and 1,800cc engine. 1981: The 2nd generation Rex was released with a change from a rear-engine, rear-wheel drive platform to a front-engine, front-wheel drive platform. This helped to overcome issues related to interior space, giving it a wider wheel base and the largest body size at the time in the minicar class. 1982: The 4th generation Sambar was released as a minivan model. 1983: The Subaru Domingo one-box wagon was released, it not only accomodated seven passengers in a compancy body but also offered both swivel seats and folding seats. 1984: The Subaru Justy was released. 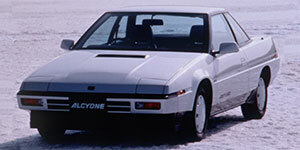 1984: The 3rd generation Subaru Leone was released with a larger body size and a design based on flat, straight lines. 1985: The Subaru Alcyone was released with its hallmark style designed to evoke the image of the aerodynamic shape of a hawk or an eagle. 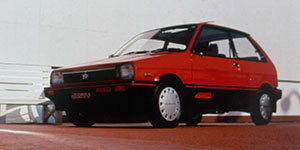 1986: The 3rd generation Rex was released with more interior space and upgrades to the gearbox. 1988: Subaru Tecnica International Inc. was established as a subsidiary to undertake motorsports activities and the development and sales of specially-designed sports parts. 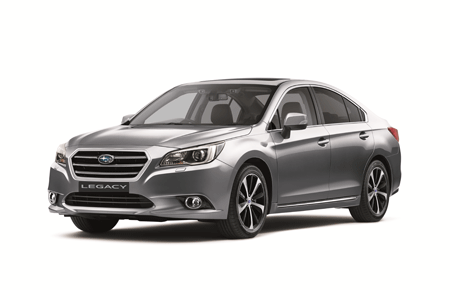 1989: The Subaru Legacy was launched, marking Subaru's first step into the 2.0-litre automobile industry. 1990: The 5th generation Sambar was released with a full model change. 1991: The Subaru SVX was released, replacing the Alcyone as the luxury high-performance coupe that could handle any road surface. 1992: The Vivio was launched, featuring Subaru's first newly designed body and a relatively low centre of gravity that helped to improve its driving stability. 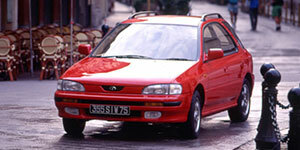 1992: The Subaru Impreza was launched in two versions: a 4-door Sedan and a Sports Wagon. 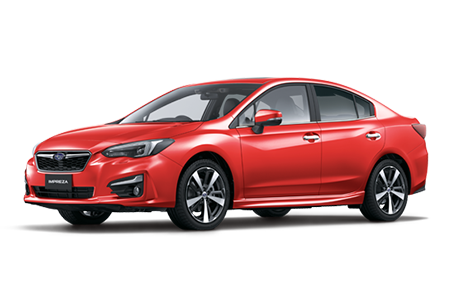 The Impreza's engine, suspension, AWD system, and packaging followed those of the Legacy, and the high-performance driving and feeling of quality were further enhanced. 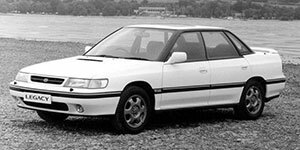 1993: The 2nd generation Subaru Legacy was released, offering performance and interior space that rivalled more premium models, despite its compact class. 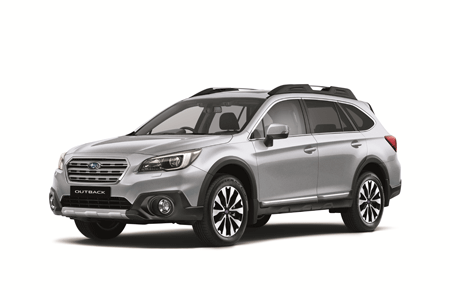 1993: The Subaru Outback was launched with high ground clearance and a premium yet tough looking exterior. 1994: The 2nd generation Domingo was released with a full model change. 1997: The Subaru Forester was launched, combining the strong points of a SUV and a passenger car as a vehicle that featured the best of both genres. 1998: The 3rd generation Legacy was released with a full model change that eliminated front-wheel drive variants, making all grades based on a 4WD platform. 1998: The 2nd generation Outback was released, this model change eliminated front-wheel drive variants, making all grades based on a 4WD platform. 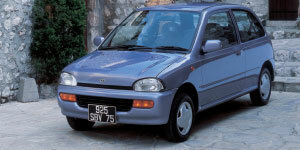 1998: The Pleo was launched as a perfectly balanced package of performance, safety, utility and eco-friendly driving alongside with its lightweight and compact frame. 1999: The 6th generation Sambar was released with a full model change. 2000: The 2nd generation Subaru Impreza was released, it included features such as a new turbo engine, a new body with Ring-Shaped Reinforcement Frames and improved impact safety. 2001: The Traviq was launched as an easy-to-drive compact seven-seater that offered supeme interior comfort in a streamlined package. 2002: The 2nd generation Subaru Forester was released with a full model change, fusing the benefits of both the SUV and passenger car. 2003: The 4th generation Subaru Legacy was released with a full model change, featuring a more sporty look and a comfortable interior. 2003: The 3rd generation Outback was released, featuring high ground clearance and excellent on-road driving performance. 2003: The Subaru R2 was launched, featuring a stunning design coupled with a streamlined package, excellent fuel economy and crash safety, and agile performance. 2005: The Subaru B9 Tribeca was released as a seven-seater featuring a dynamic exterior design contrasted with a sophisticated interior design that accentuated stylish comfort and safety. 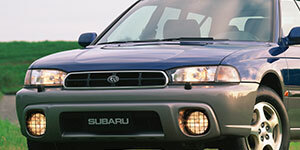 2005: The Subaru R1 was relased as a 3-door compact car with streamlined packaging for private use. 2006: The Subaru Stella was launched as a mini-car that places an emphasis on a spacious interior, good fuel efficiency and smooth acceleration. 2007: The 3rd generation Subaru Impreza was released with a full model change that offered both comfort and safety. 2007: The 3rd generation Subaru Forester was released with a focus on providing good packaging, performance and eco-friendly elements. 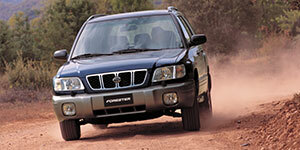 2008: The Subaru Exiga, a seven-seater for panorama touring, was launched. 2008: The Subaru Dex, a new compact car, was launched with a focus on daily ease-of-use and a unique design. 2009: The 5th generation Subaru Legacy was released with a full model change, providing greater comfort and eco-friendly driving. 2009: The 4th generation Outback was released with a full model change, with enhanced driving performance and safety. 2010: The 2nd generation Pleo was released. 2010: The Lucra was launched as a passenger car designed to fit in with any lifestyle with its spacious and open cabin and polished design. 2010: The Subaru Trezia was released as a new minicar with Subaru's renowned wagon styling. 2011: The 2nd generation Subaru Stella was released with a spacious interior, easy handling and outstanding fuel efficiency. 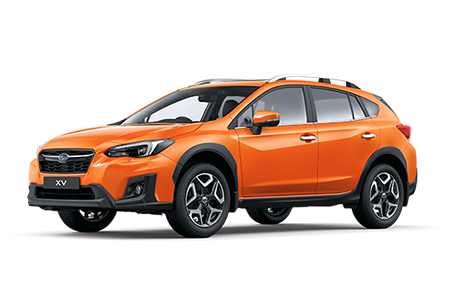 2011: The Subaru XV was introduced as a vehicle perfectly suited to exciting, lively, yet stress-free use in the city. 2011: The 4th generation Subaru Impreza was released with a full model change. 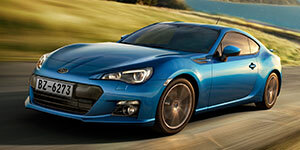 2012: Subaru commemorated the 40th Anniversary of its AWD vehicles. 2012: The Subaru BRZ was launched with a super low centre of gravity and touted as a fun sports car that any driver could enjoy driving with peace of mind. 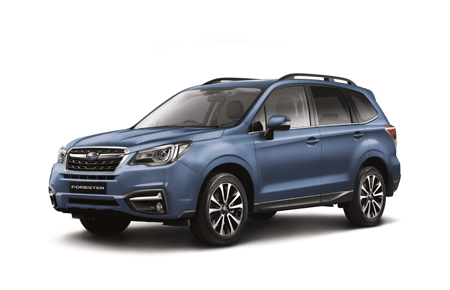 2012: The 4th generation Subaru Forester was released with greater enhancements to its driving, safety and environmental features. 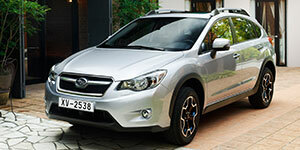 2012: The first Subaru XV was produced at a Malaysian assembly plant of Tan Chong Motor Assemblies Sdn. Bhd. 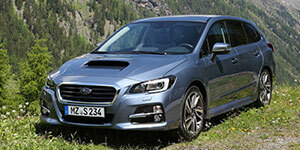 2013: The Subaru Levorg was introduced as a sports tourer that offers both driving enjoyment and practical touring abilities.